sailboat. : Five Things I Love Friday. In an attempt to add a little structure to Sailboat (what can I say, I like organisation and that is severely lacking at the moment on this little piece of the internet!) I’ve decided to add a little extra happiness to my (and hopefully your) Friday’s with a little Five Things I Love Friday feature. I’ve been inspired by so many bloggers to do this and although this is totally not my original idea it would be impossible to credit/mention all of my sources of inspiration right now but I especially love the Things I Love Thursday feature on Sofia’s Journal. Sofia’s Journal is an incredible blog and if you’re not already following (which I’m sure you are!) then you’re missing out! I’d also like to add on a little Five Blogs I Love Friday at the end too just to show some love to some beautiful ladies who I’ve been inspired by that week. I’ve been slacking (re: lazy!) on my Follow Friday posts so I thought this would be a more manageable way for me to carry those on! Anyway, is this the longest introduction ever? Probably. I will shush now! Image Credit: We Heart It. I used to think that gerbera daisies were my favourite flower and while I still think they’re super pretty, there’s something about tulips that I just love so much. I can picture having a bunch of pretty coloured tulips sitting on the windowsill of every room in my future home one day. They just make me smile lots! I’m a total fatty. I have a serious crisp problem! It’s actually got to the point where I can’t have lots of packets of them in the house or I will actually just inhale them. I have absolutely NO self control what so ever. I recently bought one of the above dresses. Can you guess which one? I wish I could have bought them all! Especially Twinings fresh & fruity range. Twinings know how to make good tea. I pretty much stand in the tea aisle at the supermarket for ages trying to decide which flavour to try next. My absolute favourite so far is the blueberry & apple. I’m excited to make huge batches of fruit tea in the summertime and let it cool down & drink it with lots of ice, through a straw. Oh and with one of those cute paper umbrellas in it! While I’m still not a total jeans person I’ve learned to appreciate them and I’ve learned that they don’t make me look ginormous! I actually quite like the way they look on me now. I’ve had a fashion breakthrough, hooray! What have you loved this week? Have you got a favourite blog of the week that you think everyone should know about? Let me know in the comments! Great idea, it's always nice to see things that make other people happy. Also I love when people recommend their favourite blogs, found so many great ones this way. I have a crisp problem too. I don't buy multipacks anymore or I just binge eat them. Crisps are firmly in the treat only category now. I wish I had self-control! Have you tried apple & cinnamon tea? You can buy it from Holland & Barrett and it's my new obsession! Eeep, love this post from you, Jennie! I have an addiction to Kettle Chips. Someone actually thought I was sponsored by them because I tweet about them so often, haha. Kettle chips + fruit tea = my idea of the perfect Friday evening. 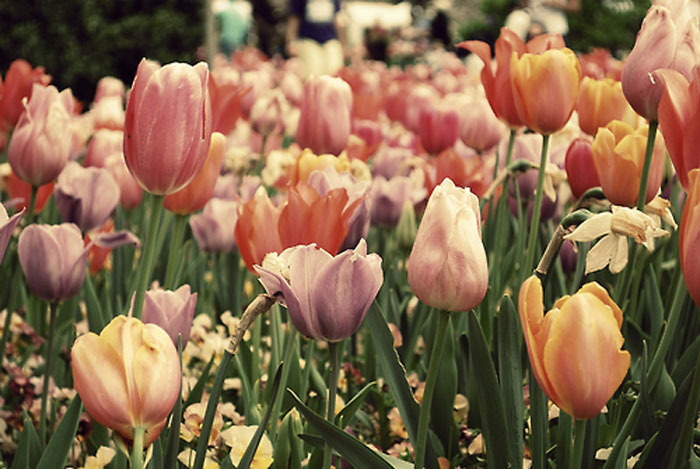 gosh tulips are my favourite flower, theyre just beautiful. 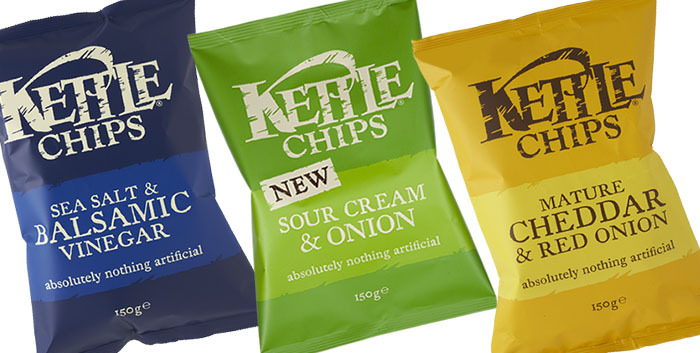 gotta love kettle chips too, yum. oooooo where is the 1st dress from?? It is so darn pretty! I need it in my life!!! Great post. Thinking about is, i seriously dont know what flowers I love, i may have to sort this out and take a trip to the flower shop. Dresses are soo cute, did you buy the floral one? @Princess Pancake - The little numbers underneath are links to where you can get them. The 2nd dress is French Connection & the 4th is River Island. @Elspeth Daisy - Ooh I havent but I definitely will because it sounds super yummy! Thank you so much for featuring me in your blogs you love! Really made me smile :) I love all those dresses in the photo; I can really see you in the third one, which one did you buy? I love tulips too, the ones I planted in our windowbox opened up today and they just look so lovely, makes me feel really spring-y! Oh and I also linger in the tea aisle for a long time and like trying out all the new ones. I bought a really yummy berry one from Clipper called Wild Berry - you should try it if you haven't already! I love tulips, they are in my top three favourite flowers of all time. And kettle chips are just my favourite!